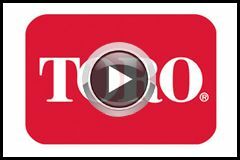 Toro has done it again! They have taken the Toro Timecutter and redesigned the machine returning it to us as if its been put on steroids! 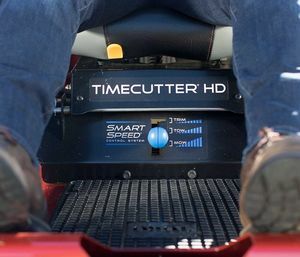 The Timecutter HD features a more comfortable seat, bigger caster wheels, strong deck, new platform design and a 12v accessory charger! This machine is that comfortable you'll drive it in the back door and park it in front of the TV to sit in all night. 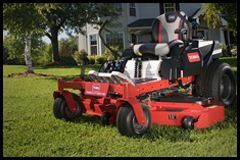 Powered by the 22.5HP Toro engine it has plenty of grunt to utilise its 48" fabricated cutting deck. 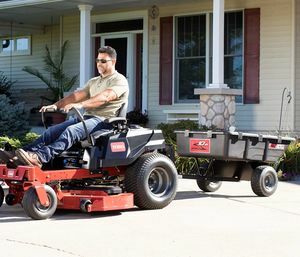 Zero-turn mowers are really taking the market by storm saving you time and money in the long run as you can get your lawns mowed more efficiently. For more information read the features and watch the videos below! Or better yet call in and see the mowers in the flesh! Front: 13" x 6.5" / Rear: 22" x 10"
These decks have been designed to withstand very tough conditions. The fully welded 48" deck is made from 50 grade high strength steel making it almost 50% stronger than the more common 11 gauge steel decks on the market. What isn't to be overshadowed by the strength of this unit is also the ability is has to provide an exceptionally smooth cut. 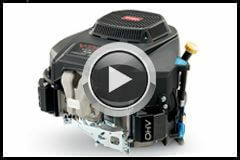 This feature allows you to change the speed of the machine for optimum performance for different purposes. 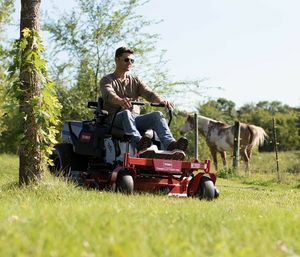 Low trim mode allows you to trim closer to save more time, medium tow allows you to tow a range of pieces of equipment and mow range allows you to cut larger areas faster. 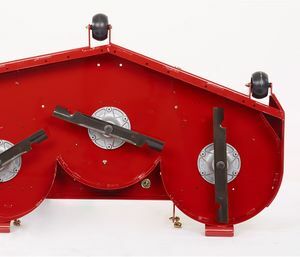 The tow bar that comes standard with Toro Timecutter HD allows you to tow trailers and more with a simple pin mechanism. This feature has been a long time coming! 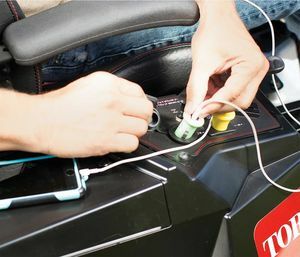 Ensuring devices never go flat when on the job you can charge your products with this inbuilt 12V accessory port!